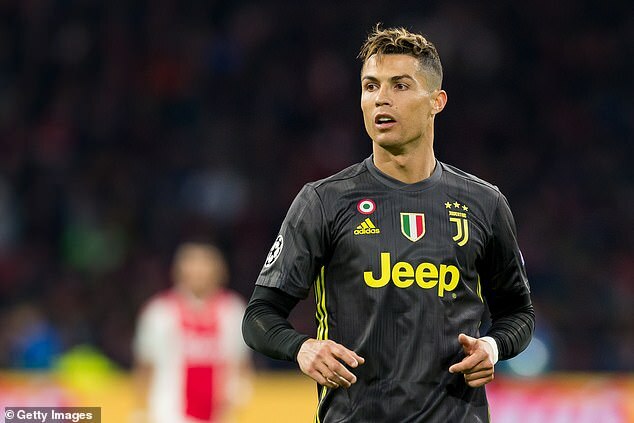 Ajax say they will not worry about man marking Cristiano Ronaldo in Tuesday’s Champions League quarter-final second leg in Turin, despite a warning from Juventus boss Max Allegri that his star player was only half fit when he scored in Amsterdam last week. The Italian champions are favourites to progress thanks to Ronaldo’s away goal during the 1-1 draw six days ago, when the Portugal forward played for the first time since injuring his thigh during last month’s international fixtures. His diving header in the first leg was, incredibly, his 24th goal at the last-eight stage of the competition and his 125th overall, including a hat-trick at the Juventus Stadium in the last round to reverse a 2-0 deficit against Atletico Madrid. And Allegri said: ‘Cristiano has this extraordinary quality, which is that when the game comes, he changes. In certain moments he becomes an unstoppable player and you can see it on his face. 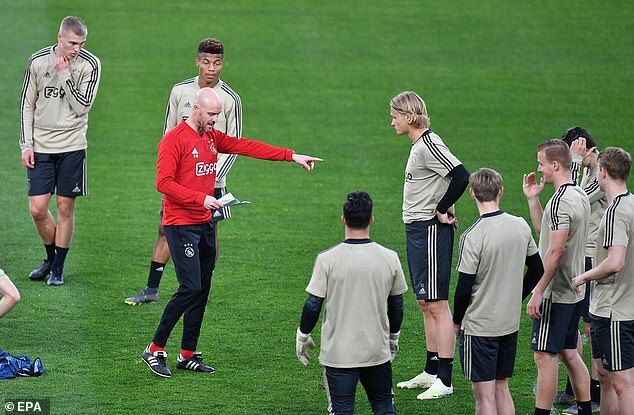 Ajax captain Matthijs de Ligt will be one of those defenders up against Ronaldo, although coach Erik ten Hag confirmed there is no plan to afford him special attention. Should De Light move to the Nou Camp he will be joining team-mate Frenkie de Jong, who remains a doubt for tonight’s game after injuring his hamstring at the weekend. 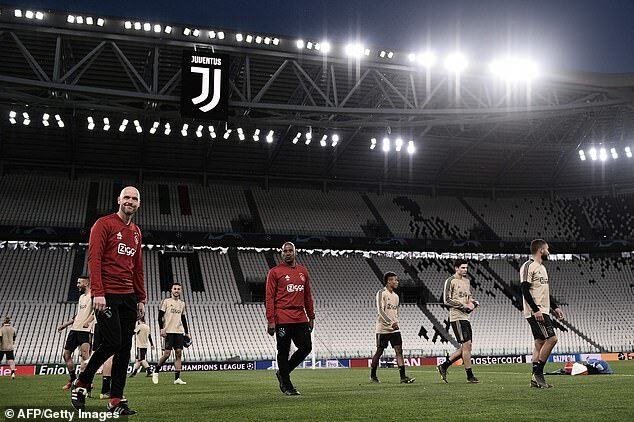 But Ten Hag sounded hopeful on all fronts when he spoke ahead of Monday night’s training session at the stadium. ‘We are positive he can play,’ he said. ‘Frenkie himself will have to decide if he is ready, and eventually I decide. It will be a blow should the 21-year-old midfielder miss out. 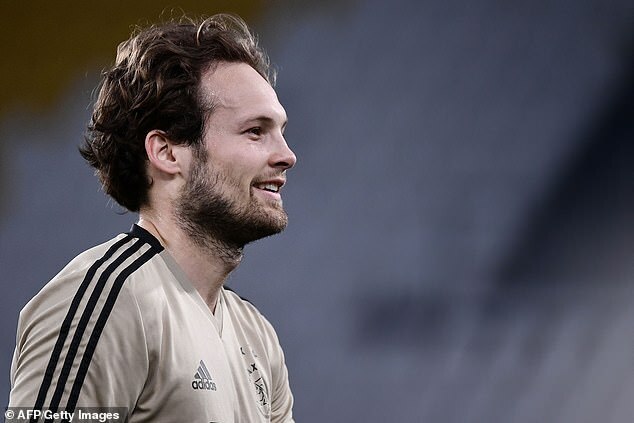 He was inspirational during the 4-1 victory at Real Madrid in the last 16 and Allegri knows the extent of the threat the Dutch league leaders will pose. 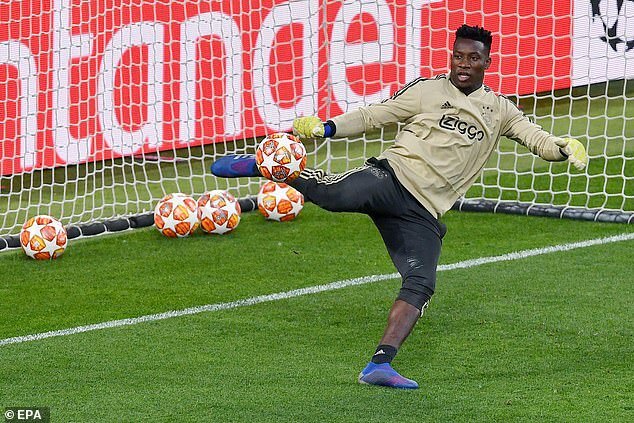 ‘Ajax have never lost away from home after the preliminary round, let’s hope it will go differently this time,’ he said. ‘We must respect them, they are a strong side. They played better away than at home against Madrid. ‘So we will have to be very aggressive. I think it will be a game with punches from both sides. We will have to be at our best both physically and technically.